AI has been around for some time but failed to take off as it was considered too difficult to scale. That is until the emergence of three key events 1) big data 2) cloud technology and business models and 3) advances in machine learning and deep learning, that can resemble how the brain works. Today, AI can be harnessed to help hotel revenue managers sell their rooms for the best price. Essentially AI can help hoteliers understand the real demand for their inventory by better understanding customer searches and needs. 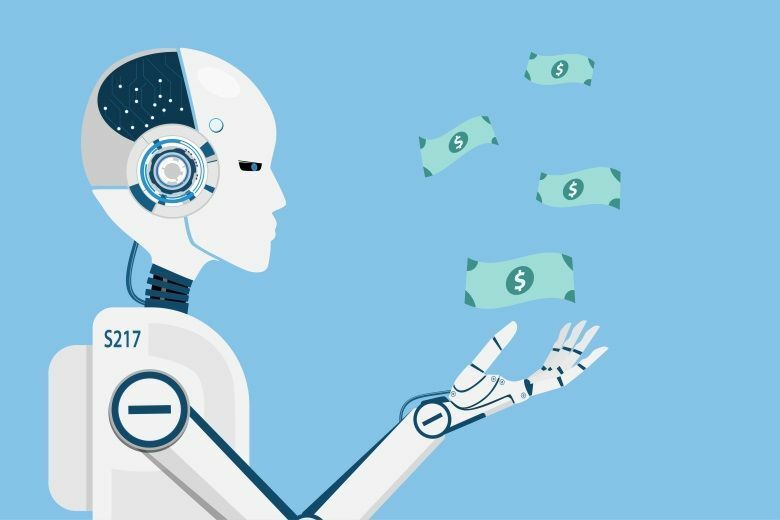 This article discusses how AI can be used to deliver critical revenue insights between the demand and supply curves. Nothing to do with aging Rock bands, but more around not putting our heads up above the parapet. Changing things that ‘work’ invokes visions of risk and conjures up aversions so sometimes it’s hard to alter our thinking. This is true for a lot of organisations when it comes to Revenue Management. Revenue Management and its close relative, yield management, are often seen as black arts performed by key individuals who rely on some data mixed with significant instinct to adjust pricing levels. Even within this regime, dramatic price swings are unlikely and most changes will be incremental. Whatever the black art details, the overwhelming outcome is that the major driver is ‘recent booking history’. That roughly translates into pricing going up and down with booking rates albeit on slightly delayed basis. The challenge is that there is a cyclic dependency between prices and recent booking counts. Whilst AI systems can be trained by tracking a set of human decisions in Revenue Management, one could argue that we aren’t going to make real progress by merely teaching the machine to provide an automated version of the human process. Undoubtedly, but we need to step back to supply and demand theory to find the alternatives. The classic supply/demand chart is recreated below. On the X-axis we have quantity and on the Y-Axis, we have price. The point where the demand curve crosses the supply curve is the point where supplier and buyer have agreed the price and a deal gets done. If we want to increase the price then we should seek some clarity (data) that there has been an increase in demand that allows us to shift the demand curve towards the right. That indication should not be based on anything relating to price and that rather includes recent booking history, the underlying basis of current RM. So what data that is independent of bookings and represents demand can we use? The short answer is shopping traffic analysis which tracks the ever changing volume of search requests for the product(s) we want to price. All we need is a clear view of that demand. Don’t organisations already do this? Collecting demand data means analysing all of the shopping traffic by cleaning it, processing it and extracting details to generate a dataset which shows search request volumes broken down by at least product and date of travel. Given the ever increasing look-to-book ratios prevalent in the travel industry this means analysing several hundred millions search requests per day for even the average size travel distributor. Capturing and processing this data into a clean data feed for near real time analysis is a pre-requisite but if we can achieve this then it goes very well with the concept of an AI system consuming lots of data at high speed to produce informed decisions on an ongoing basis. Big data processing feeding machine learning. The perfect match. Read this article with graphics on Triometric’s Travel Analytics Blog, where you can find other useful discussions on travel distribution and technology. Trio Data Engine is a scalable XML/JSON analytics architecture that can be readily integrated into most corporate big data strategies to provide the critical link between transactions and AI systems such as the new generation of RM technologies. Triometric is a specialist provider of XML- based business intelligence and operational analytics designed to help online travel companies meet the challenges and opportunities of today”s fragmented distribution landscape. Triometric technology is a powerful end-to-end web services monitoring and analytics platform that helps customers manage complex distribution dynamics by giving them deep insight into their search and booking traffic. This actionable intelligence enables travel companies including hotel wholesalers, online travel agencies, metasearch engines and hotels and airlines to improve their business performance by reducing costs and increasing revenue. Triometric is a privately held company based in Surrey, United Kingdom. Customers in the travel sector include Hotelbeds, Destinations of the World (DoTW), Miki Travel, Bonotel and JacTravel.